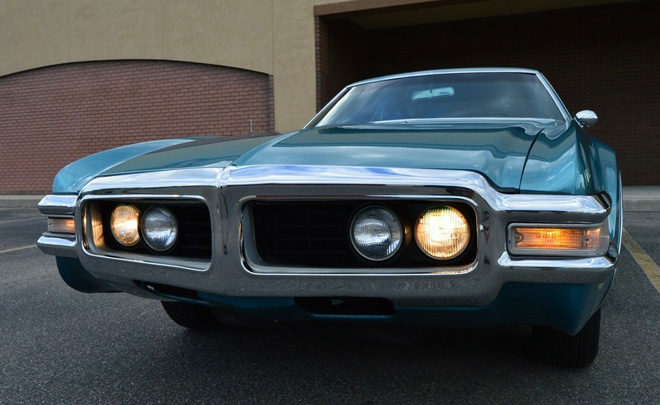 This is one super rare automobile! This low mileage numbers matching example is believed to be the only one in the UK. 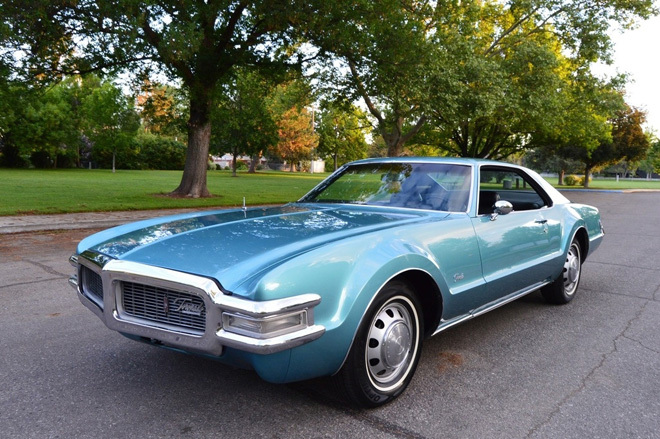 In 1969 Oldsmobile produced 654,979 cars but only 25,073 Toronado’s. 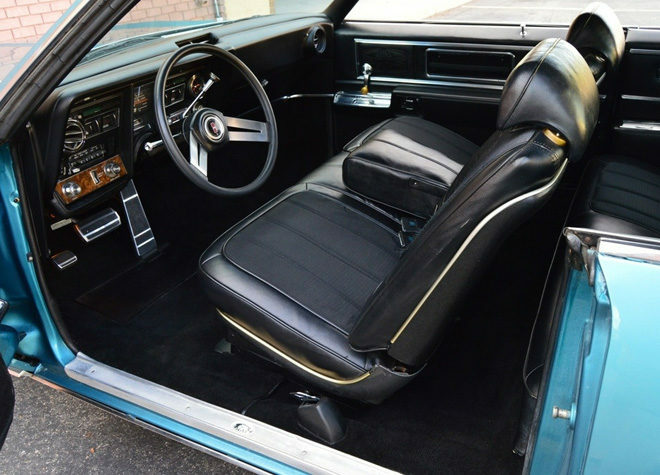 This is one pampered survivor, and pampered it was by an elderly Lady owner in California. Powered by the 455 ci Rocket V8, 375 HP, with factory 4 Barrel Rochester Carburetor and mated to a smooth THM-425 Turbo Hydra-Matic auto transmission and FRONT WHEEL DRIVE! 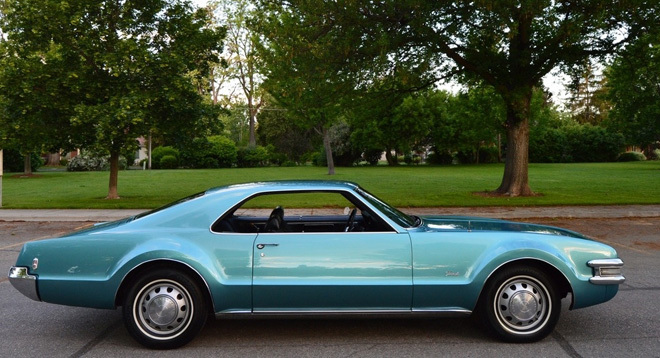 The first American car to feature this since the 1930’s Cord, other manufacturers followed later, notably Cadillac. 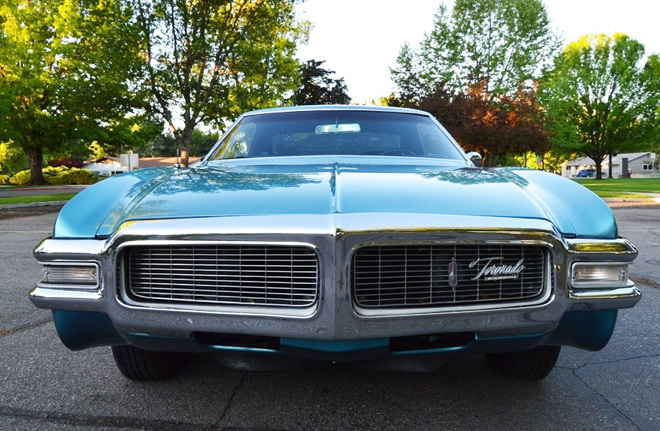 This ‘Olds’ drives superbly and is in beautiful condition. 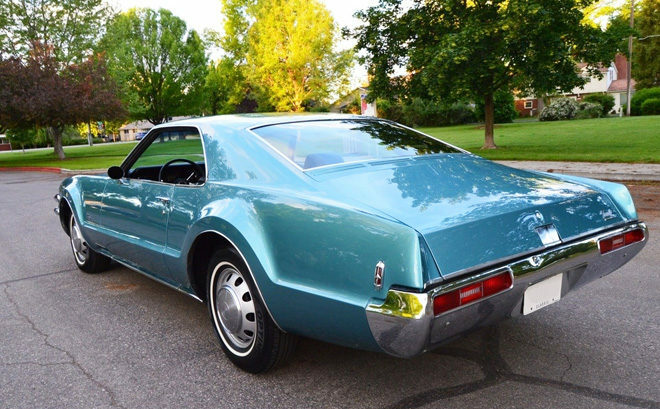 Air Conditioning, Variable Ratio Power Steering, Power assisted Brakes, Power Seats were all standard features with this one finished in Caribbean Turquoise Metallic with a Black Excella Pattern Cloth and Vinyl ‘Strato Bucket’ Bench Seat Toronado Interior, very roomy with flat a flat floor. 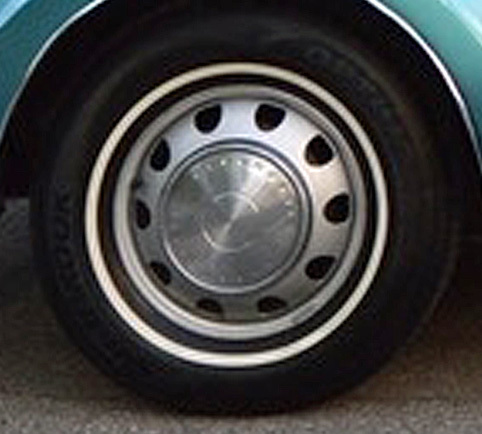 How refreshing to see simple but stylish steel wheels, and of course white wall tyres are always very welcome.